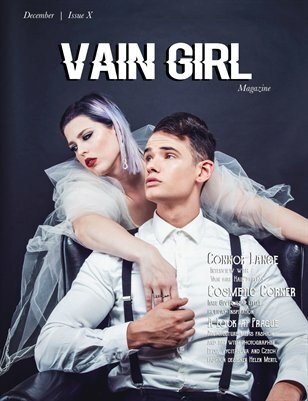 Vain girl magazine issue 10. Featuring Advante garde photography and art photos. Cosmetic fashion and beauty collumns. Interviews and more.